The 2018 Australian Open tennis tournament for women players on the WTA circuit is taking place this month from January 15-28, 2018, on the outdoor hard courts at the Melbourne Park sports center located in Melbourne, Victoria, Australia. Here is a list of the prize money up for grabs for the women tennis players at the 2018 Australian Open. 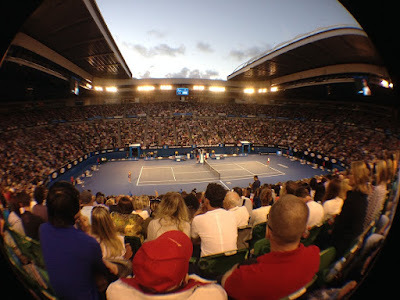 The Australian Open is the first of the four major tournaments played annually. The majors are the best tennis tournaments played each year and and they also pay the most prize money. The prize money listed below is not cumulative, players only earn the amounts shown for the last round they advance to. All prize money has been converted from Australian dollars to American dollars. The top ranked women players in the 2018 Australian Open are Simona Halep, Caroline Wozniacki, Garbine Muguruza and Elina Svitolina. Defending champion Serena Williams was planning to play this year but withdrew as she felt she was not ready to play after giving birth to her first child in 2017.